Seen lots of discussion about infrared thermography and wondered if it could help you? 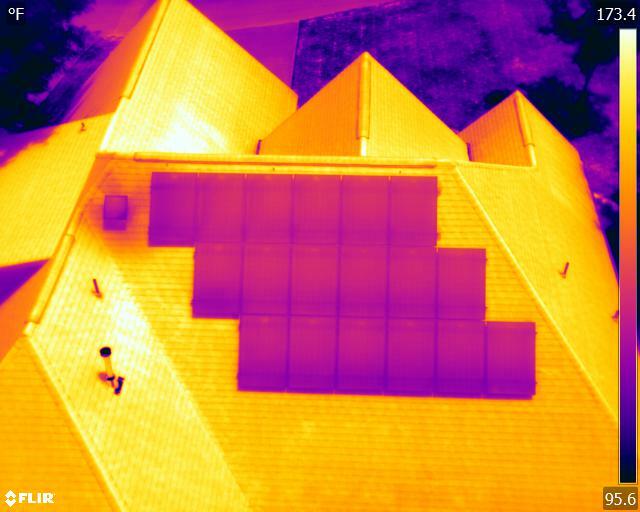 Thermal roof scans, facade inspections, solar inspections – The list goes on. Can I really benefit from a thermal inspection, or are they just trying to sell me something? Good Question. Let’s talk about thermography and see if it can help you. Bonus: Get a free thermal roof inspection. For taking the time to read this article, we want to give you a free thermal inspection. Yes. Free! Follow the link about to schedule your appointment today! 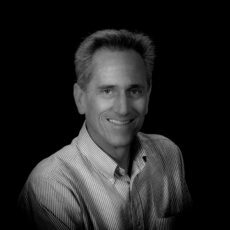 In the simplest terms, thermography is the science of thermal imaging. Thermography sees the difference in temperatures as relates to emissivity and reflectance. Everything on this planet has heat. That is, everything emits a temperature above 0 Kelvin, has an ability to hold heat (a.k.a Thermal Capacity for the technical people), and therefore a visible thermal presence. Remember from science class that 0 Kelvin (-273 degrees Celsius) is known as absolute 0. At this temperature, molecules cease vibrating and thereby cease producing heat. From that standpoint, EVERYTHING is visible in the infrared spectrum because you’re seeing heat emitted not a visible image. Cameras that take infrared images are one of the tools of a Thermographer. Thermographers are trained to use thermal imaging and knowledge of the emissivity or heat emission of materials to identify anomalies of various kinds. These include structural deterioration, moisture build up, heat loss, and more. Now that we have an understanding of how thermal imaging works, let’s look at how it can be used to save $1000s. Let’s use the example of someone in the insurance industry deciding on providing coverage on a large commercial building. Thermography is a great tool. Using thermal images, you can estimate how much damage there may be to the roof or façade of the building as well as any insulation issues that may be present. By attaching an infrared camera to a UAV, or Drone, you can very quickly see water penetration into the roofing membrane, water or cracks in a façade structure or faulty and lacking insulation. Based on the infrared scan, a visual inspection can be quickly performed to verify any identified anomalies. If the building is very large or high, drones can accomplish this task very quickly and efficiently without ropes, ladders and scaffolding. The increased safety alone is well worth the cost of an aerial inspection. Next, look at the roofing industry. What do you do if you have a flat roof and just can’t seem to find that leak. The roofing substrate appears to be intact but somehow water is getting in the building and damaging inventory inside. Water is a great thermal conductor. 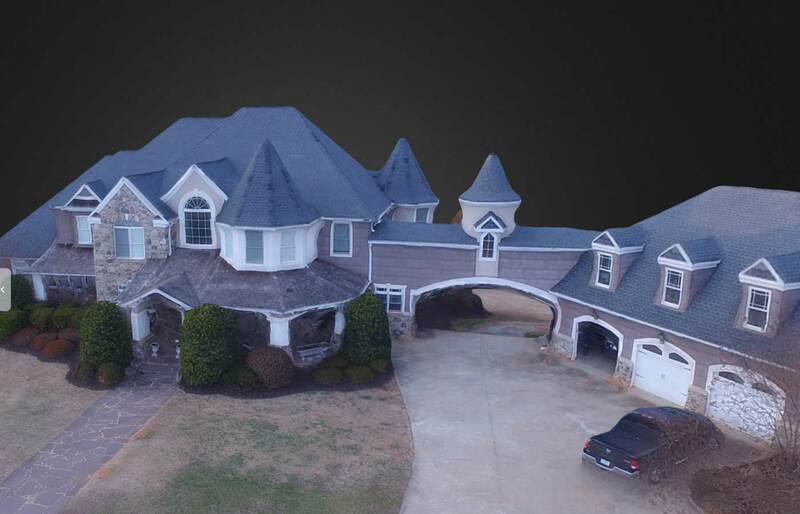 An aerial thermal scan of the roof can show the moisture trail beneath the rubber or asphalt roofing material. It may be a considerable distance between the penetration point and the actual location of water damage. And setting up ladders and walking around on the roof may only cause more damage. Obviously only having to patch a small area and not replace the entire roof is a tremendous savings! Again the convenience, safety and cost saving factors of an aerial inspection compared to traditional methods are staggering. What if a realtor is buying or selling a property? 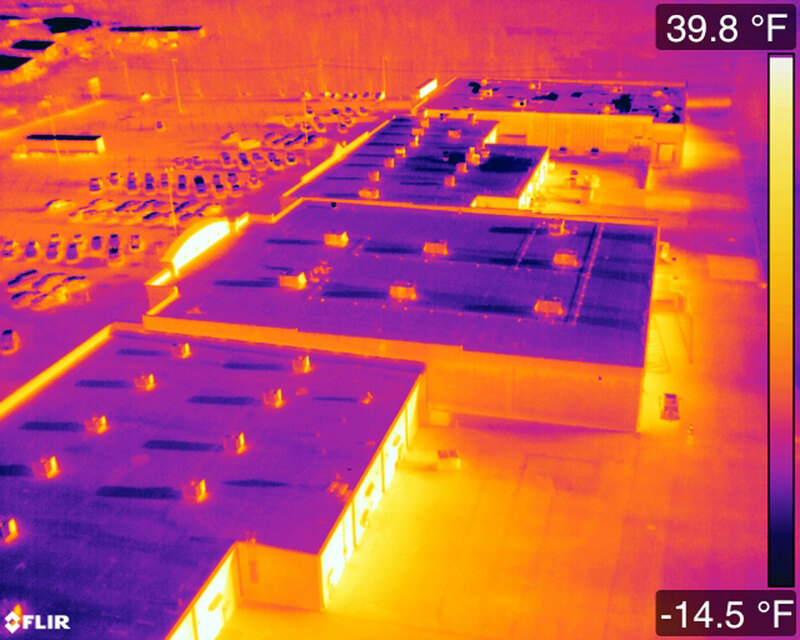 A quick aerial thermal scan will give a plethora of information. How’s the roof? What about the insulation? The HVAC units on the roof? Any electrical issues? Any gaps, leaks or missing pieces in the façade? On a residential property the insulation can be easily checked as well as the areas around windows and doors. Most homes now have double insulated glass. Thermal imaging can even see if the insulation properties of the dual glass are still working. A chimney inspection is another great use of aerial thermography. The list goes on and on. Aerial Thermography – convenient and cost-effective, it is undeniably a useful tool. We at Skytographerz believe that an aerial thermal scan can benefit you in so many ways. We are so confident in this that we will pay for your first thermal scan. Don’t wait! We won’t do this forever. Follow this link to get your free thermal scan.